This striking gentleman’s crystal red velvet bow tie takes your formal wear from basic to exceptional with ease. The rich velvet fabric and vibrant red color add a sophisticated style to your apparel. In addition, this bow tie has beautiful rhinestone crystal and enamel embellishments that sparkle and shine. It makes the perfect finishing touch to any tuxedo or evening wear. 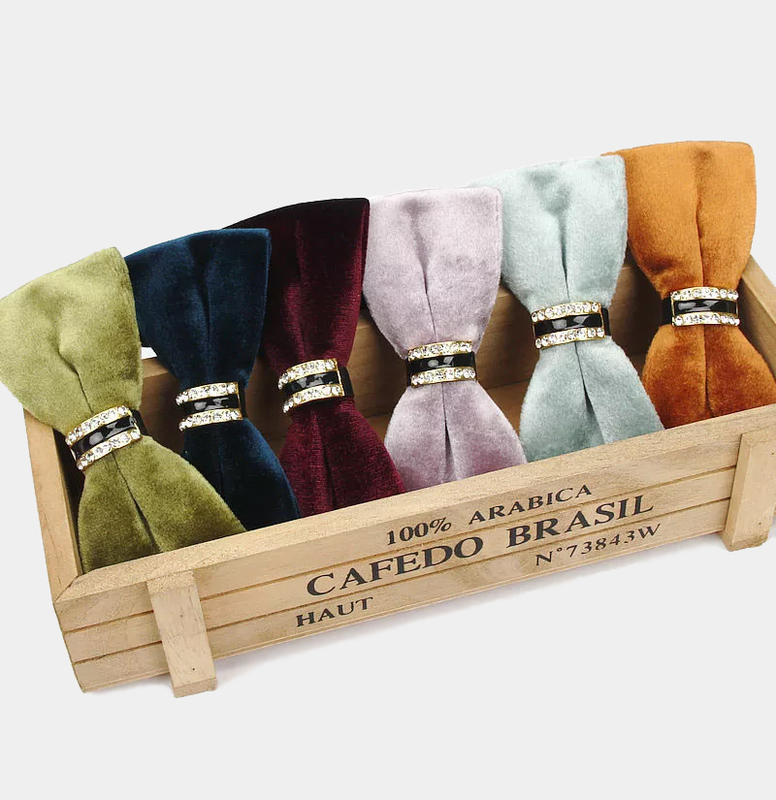 This beautiful bow tie is crafted by hand using top-quality material that is fade and stain resistant. The dazzling crystals and rich alluring color create an eye-catching combination. 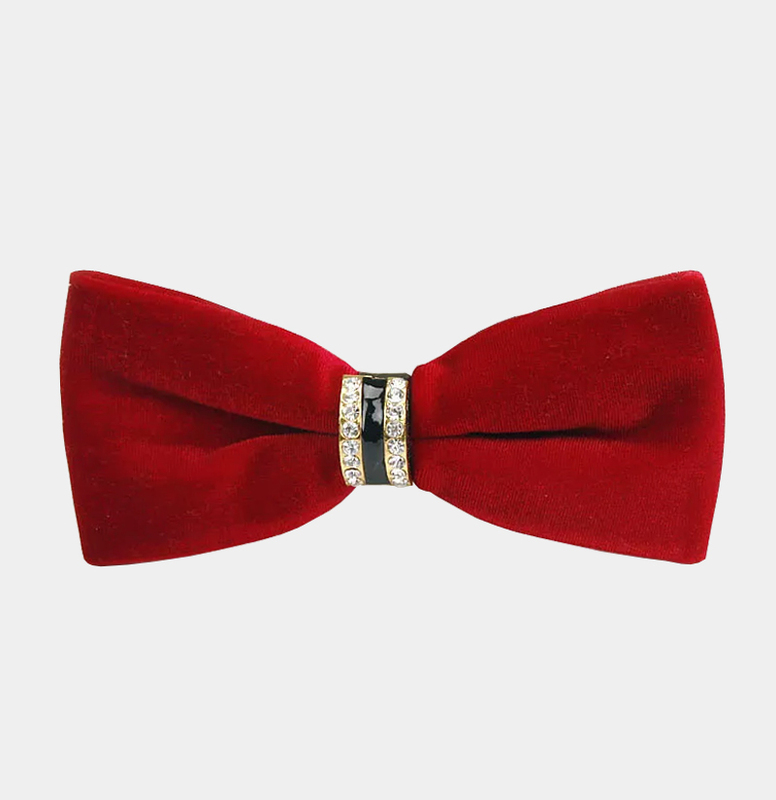 Furthermore, this handsome crystal red velvet bow tie is pre-tied and has a fully adjustable strap. It is a comfortable no-fuss accessory that is easy to use and looks sharp. 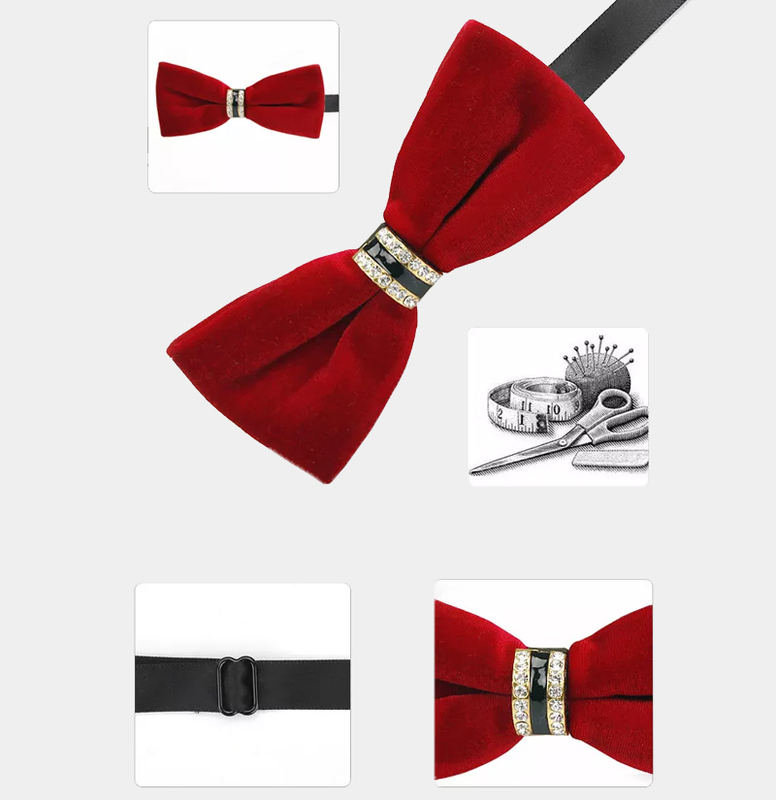 Purchase this crystal red velvet bow tie for your next formal occasion because you deserve to look your very best.